How will your group or corporate staff get to and from the game this year? We've got buses, mini coaches, limo buses, sedans, van, stretch limousines and other vehicles available right now for all service dates in and around Super Bowl 2020, February 2, 2020. Trust your transportation to the professionals who have been providing service for Super Bowl's since 1983. 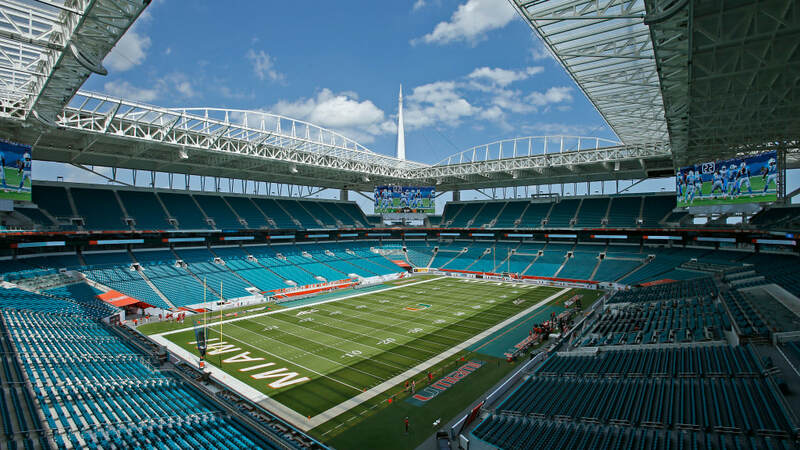 We can provide various programs and services from airport to/from hotel transportation, game day service to/from hotel and the Hard Rock Stadium in Miami, FL. Need transportation for a day of golf? A shopping outgoing? Local sightseeing? We have the transportation you need for Super Bowl 2020. Call USA Bus Charter today to learn about the wide selection of vehicles and services available for your group transportation needs for Super Bowl 2020 in Miami, FL.